Which is totally absent in software mode. Is this a known bug or I am configuring something wrong here? I tried "3" and it worked just fine. Potentially it's a depth emulation issue, does the issue happen in OpenGL hardware renderer? Which version of PS2 BIOS do you use? I had this problem with Terminator Dawn of Fate. Switching to Open GL HW fixed it for me. (02-19-2017, 06:09 PM)ssakash Wrote: Potentially it's a depth emulation issue, does the issue happen in OpenGL hardware renderer? Using OpenGL Hardware forces the game to become slow, and this still happens. The BIOS I am using is v. 02.20 (Japan), from September 5, 2006, I believe. Even if I select Native (instead of 3x the Internal Resolution), the Open-GL Hardware is still slow for this game. Selecting D3D 11 HW the game runs without any slowdowns. And switching to D3D11 SW this bug doesn't happen. Quote: Selecting D3D 11 HW the game runs without any slowdowns. Because half of the rendering is skipped. So yes it is fast but broken ... However you might still have an "half screen" bug with openGL. (02-20-2017, 08:19 AM)jesalvein Wrote: Please post the contents of the emulog.txt file after the problem occurs. The file can be found in "My Documents\PCSX2\logs" for the installer version or in "PCSX2\logs" for the portable/binary version. No, I can use D3D HW 11 mode, it won't slow things. SW mode will make any game look ugly, unless the game requires it to work (Spider-Man 2 is a good example). Just rename the TXT to 22DC8EAC.pnach and put that Pastebin text in it. I saw that comment in my log (about the driver), does it really mean my video card is messed until they fix and this is a side effect? I am curious to see if someone else can reproduce this problem. I thought it was another game issue, not related to my video card model or some emulator config. P.S. And if I am not mistaken, while using the OGL HW renderer the game wasn't slow, however it became that way after a while. 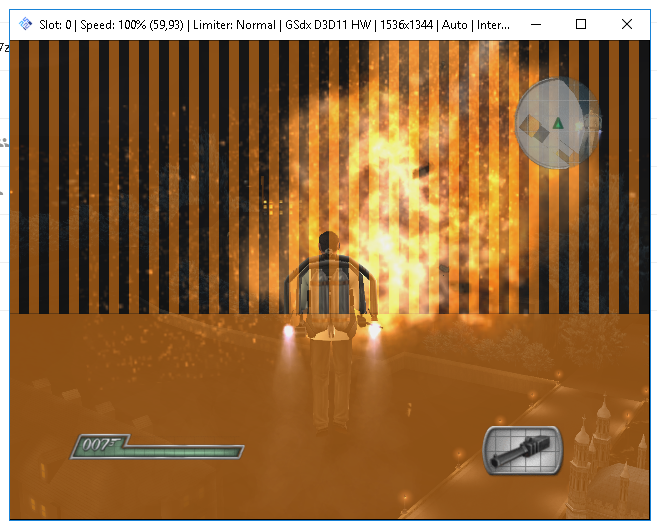 Just to elaborate slightly on this (as I am one of the developers for PCSX2), this performance drop is consistent across the entire AMD range, regardless of computer specs. OpenGL performance is usually roughly half that seen on DX11 using the same card/setup. On Nvidia cards the performance of OpenGL vs Dx11 is about the same, sometimes it is 1-2% slower in OpenGL, but generally is the same speed. So there is certainly an issue with the driver, one of our guys who works with making hardware for a living, also works on GSDX, said the OpenGL driver seems very single threaded, where Nvidia have a multithreaded driver for OpenGL, this wasn't obvious until he enabled the multithreaded support on GSDX when initialising OpenGL, that is when the gap between the card manufacturers appeared. this error happens in D3D HW mode. In OGL mode, you can run it without glitch, and can upscale. Unfortunately, since you have an AMD GPU, OGL will be slow. That's why you have no other choice than using D3D SW mode for now, or playing it on your PS2.